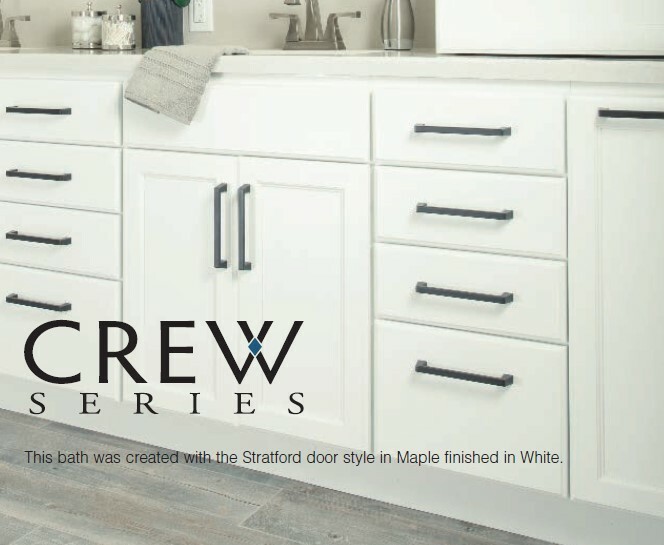 Come by and meet the newest member of the Duncan’s Creative Kitchens team: Crew Cabinetry. Crew Cabinetry is what everyone wants – high quality construction, dependability, and consistency at a competitive price. Crew isn’t a stripped down cabinet box. Crew retains all the good looks and quality warrantied construction of custom cabinetry in a collection of popular doors and finishes. These are the looks homeowners want for their new homes, along with soft close doors and drawers as standard, at a price point that offers unbeatable value. 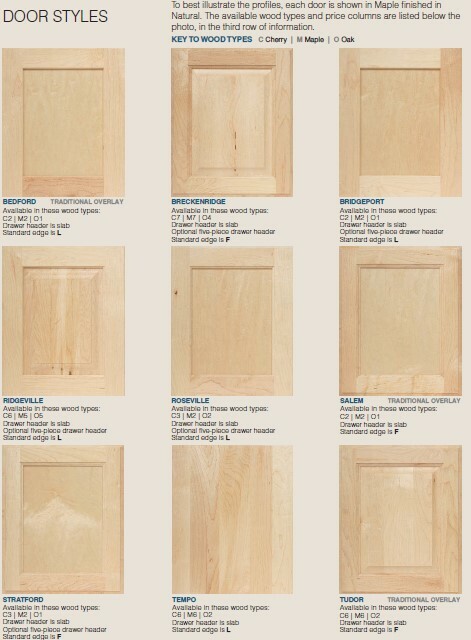 Nine doorstyles are available in oak, maple, and cherry – everything from a sleek, contemporary slab doorstyle to raised panel traditional. The ever-popular transitional shaker style actually has 5 different options, one to satisfy any design aesthetic. 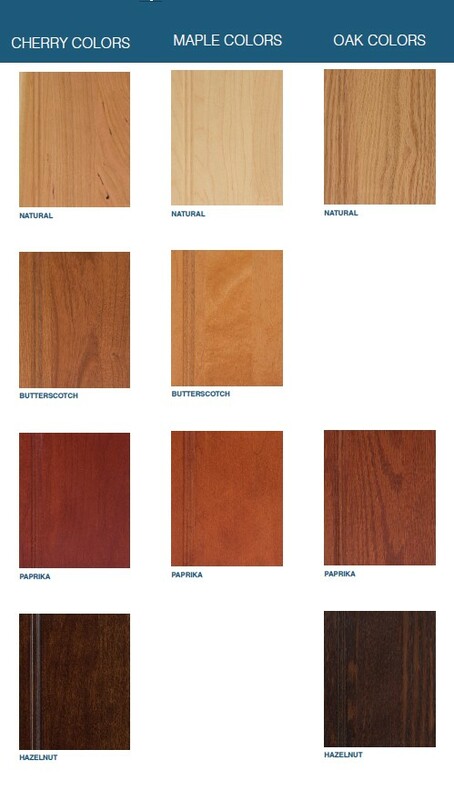 Stain options cover all the popular traditional looks: Natural is a clear coat that allows the beauty of the hardwood to shine through. The honeyed warmth of Butterscotch is going to be a crowd pleaser. Paprika will add a bit of spicy kick to your palette, while Hazelnut lends a stoic heft to any design. 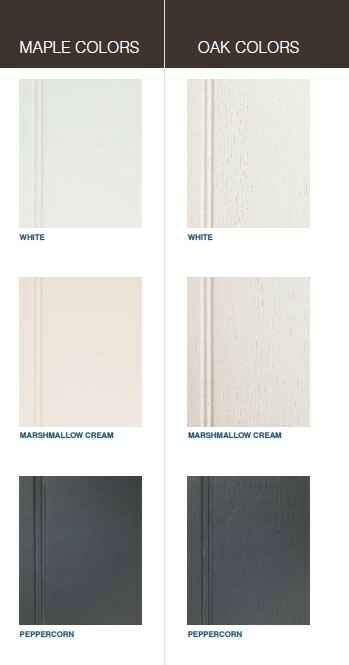 Crew also offers three of the most popular painted finishes around: traditional White, neutral Marshmallow Cream, and the trendy favorite, Peppercorn, for that charcoal vibe everyone is currently raving about. Lest you think Crew is all flash and no substance, it’s all-wood construction, dovetailed drawer boxes, soft close hinges, and lifetime warranty will quickly put your mind at ease. You don’t find lifetime warranties at this price-point very often. Why? 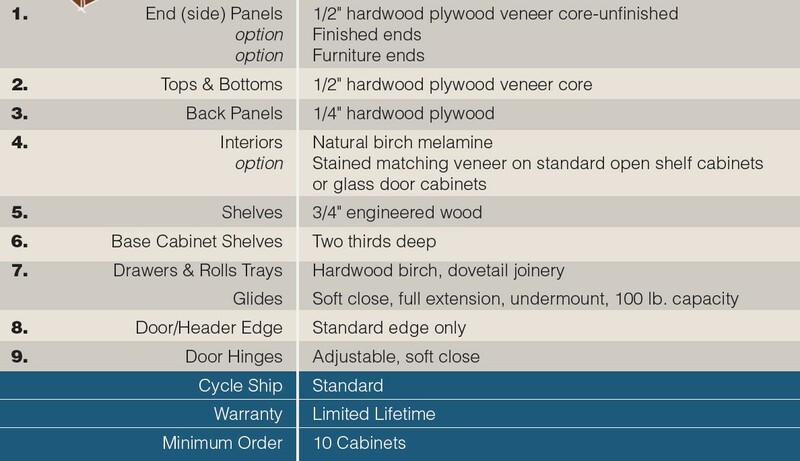 Because most manufacturers don’t build cabinets to last in this budget range. Crew does. Lifetime Warranty, even on the finish. You just can’t beat it. Kitchens, baths, laundry rooms, entertainment centers, home offices. No matter the room, Crew is the one for you. Swing by the showroom or give us a call to set up a consultation in your home. This Crew is ready. 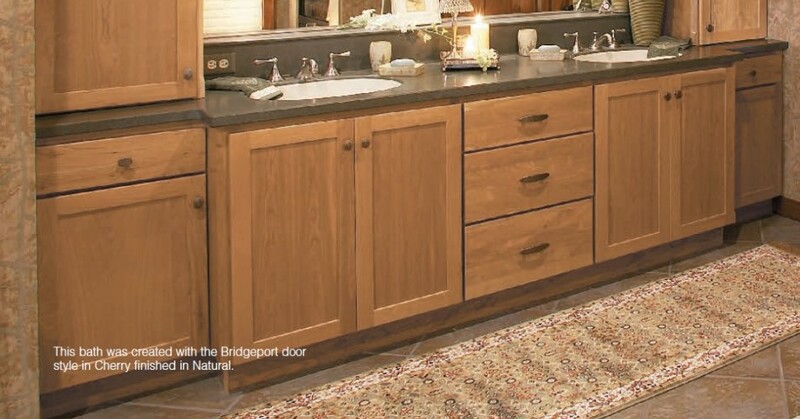 This entry was posted in Design and tagged bathroom, cherry, Crew Cabinetry, kitchen, maple, Master Bath, new construction, oak, paint, remodel, stain. Bookmark the permalink. We felt we were handled very professionally, yet very caringly. We enjoyed doing business with your company and we would highly recommend you to anyone. Thanks for the great job and service.